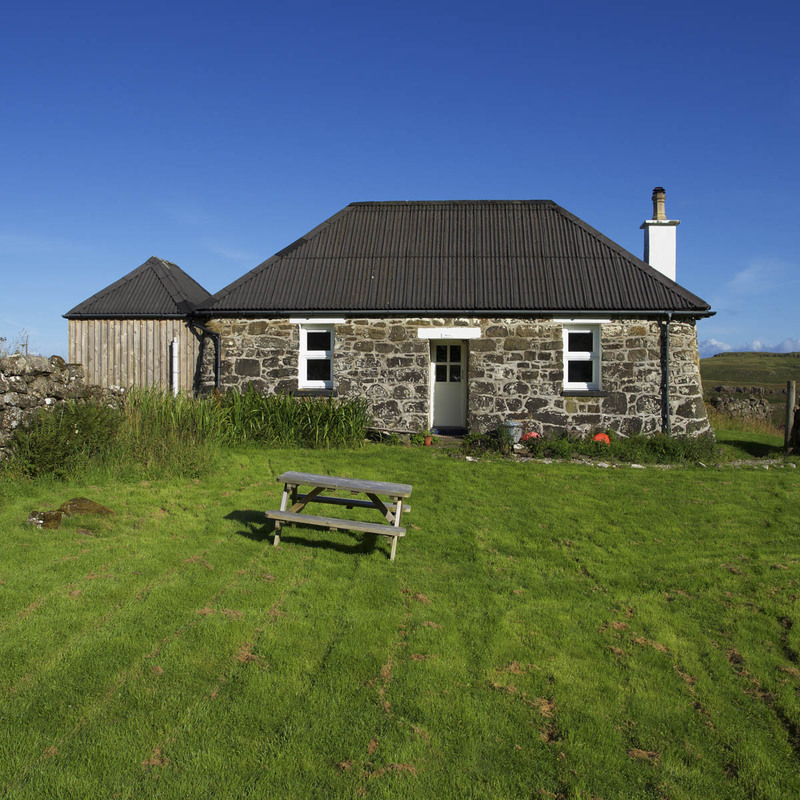 A traditional crofter’s blackhouse, West Haunn is a truly romantic cottage, small by modern standards and well suited for couples or a small family seeking to get away from it all. 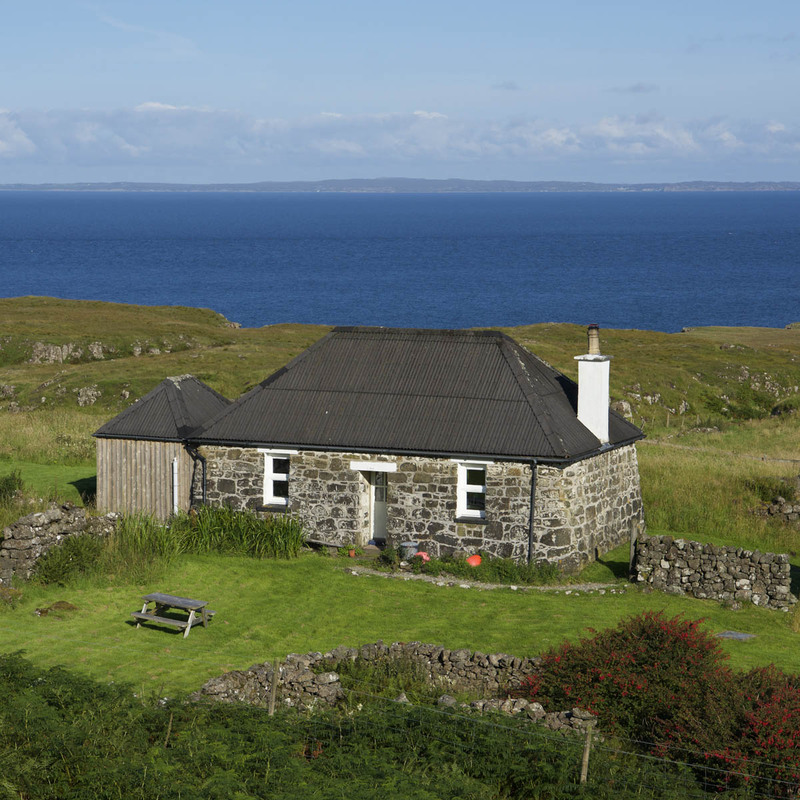 It has beautiful sea views, and there is a lovely walk across the fields down to the beautiful shore with views out to the Treshnish Isles. 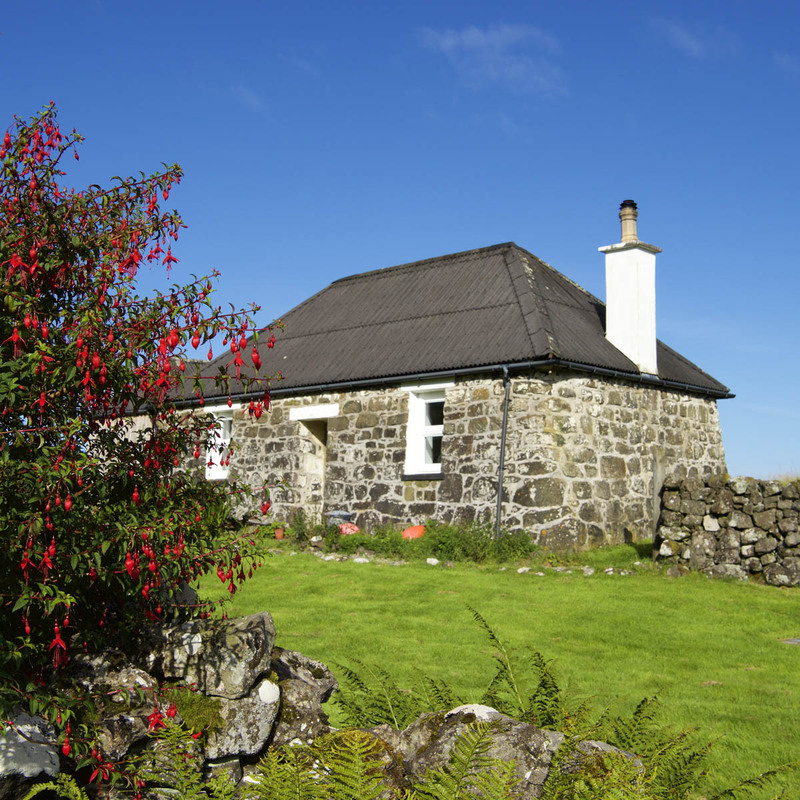 West Cottage is one of 4 remote cottages located at Haunn 2 miles from the public road. 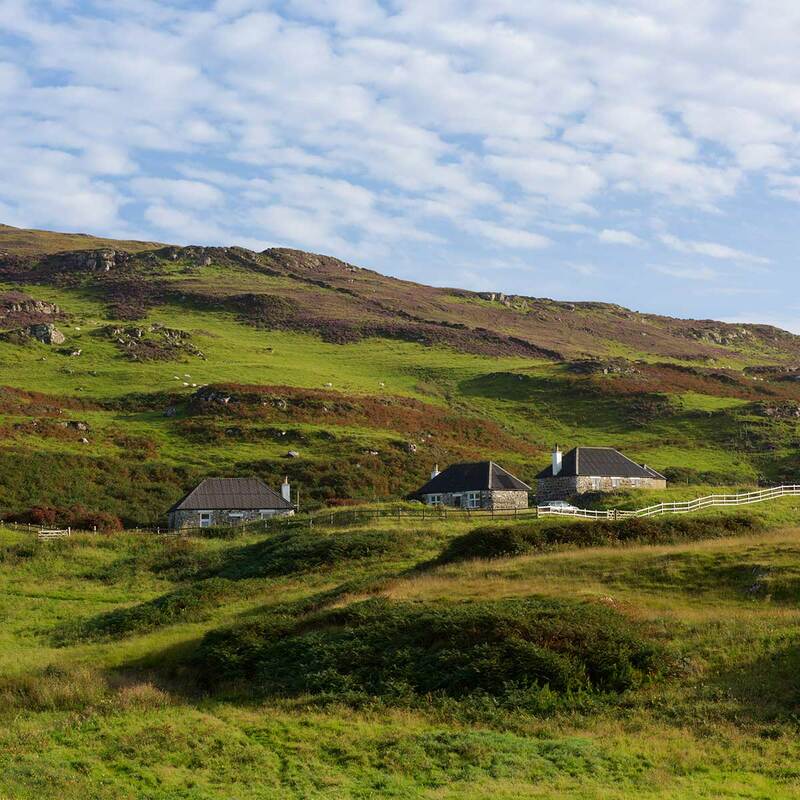 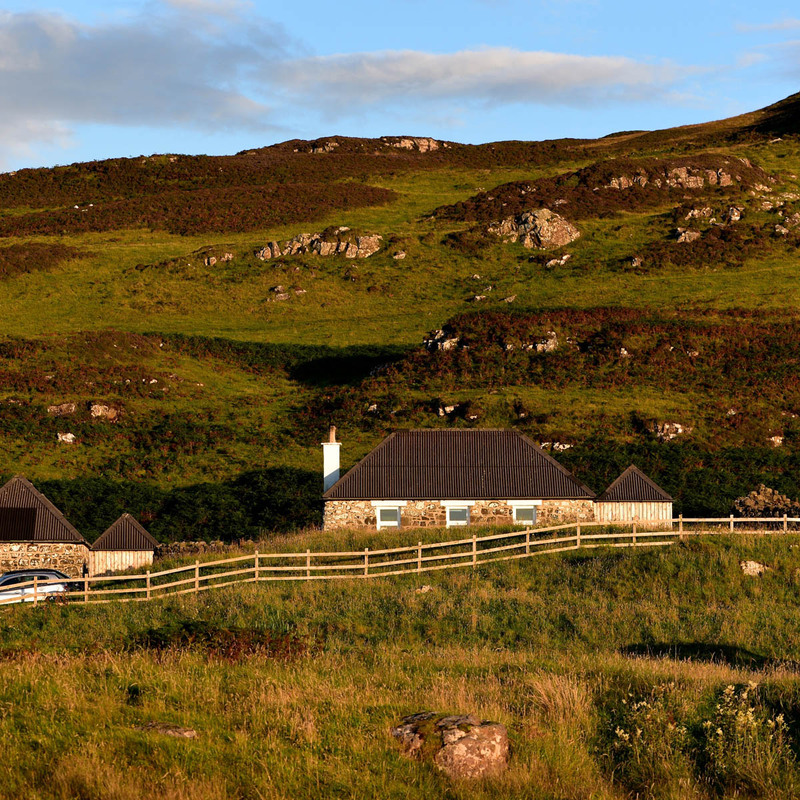 These are remote holiday cottages, which does not suit every visitor to Mull, but is perfect for those who love simplicity and seclusion. 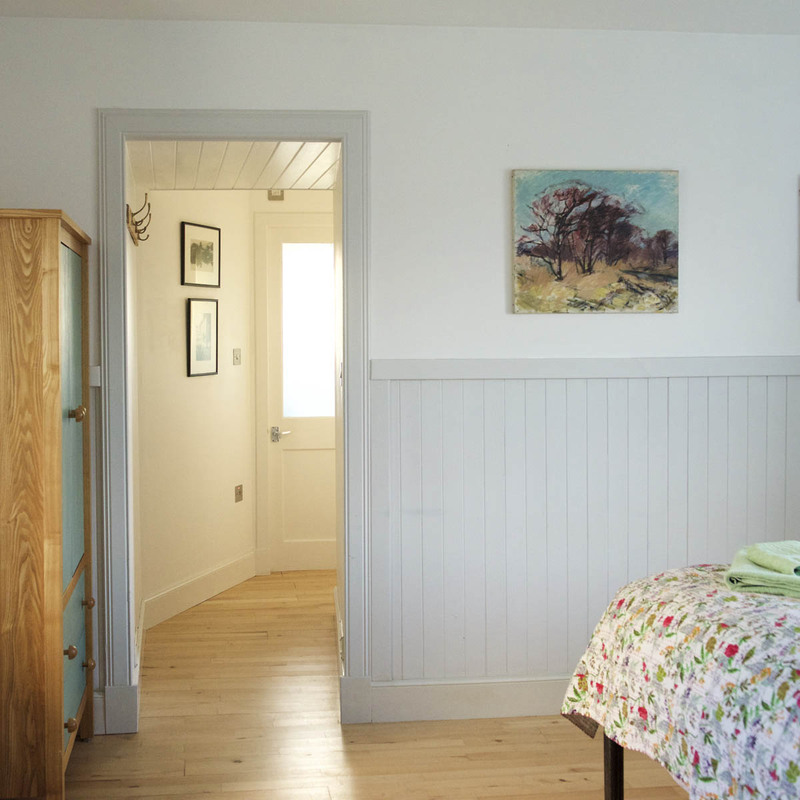 The entrance leads into a welcoming kitchen-living room. The simple kitchen is well-equipped for up to 3 guests. 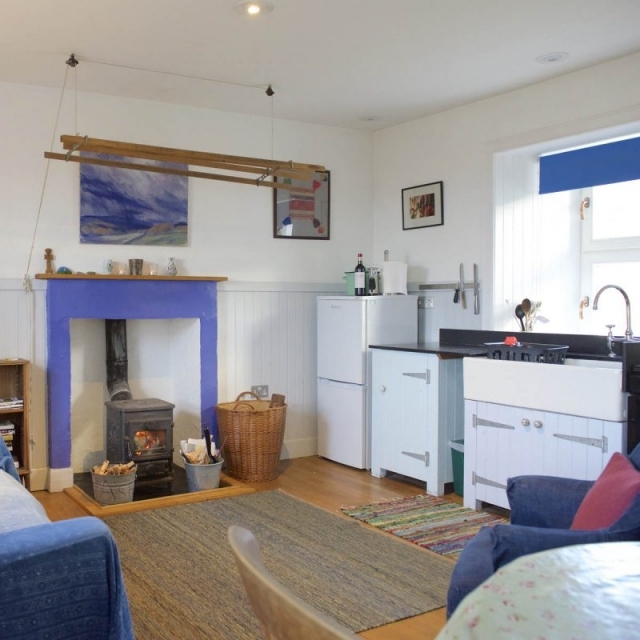 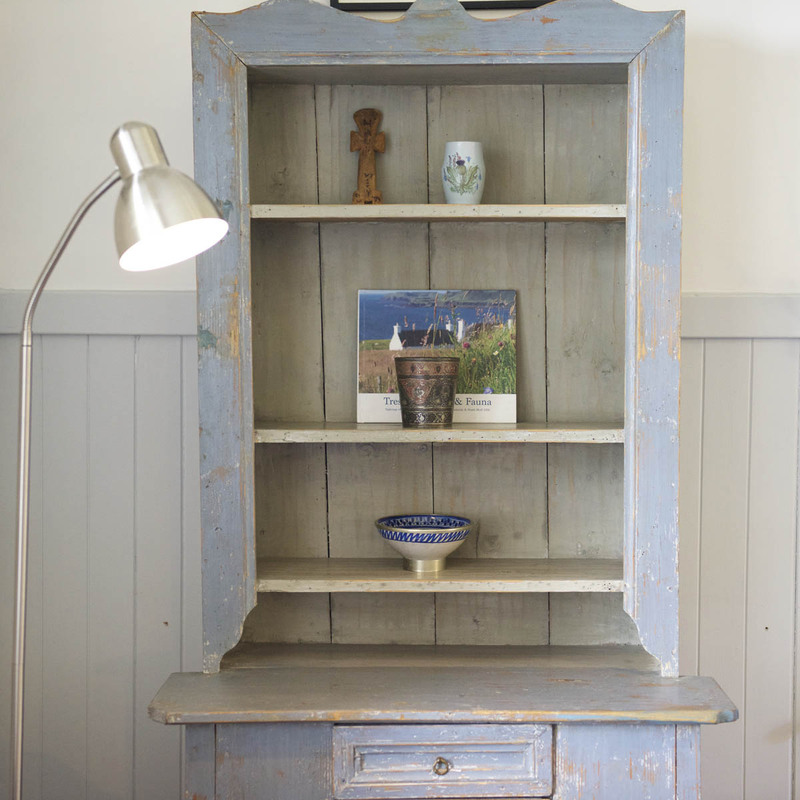 There is a comfortable sofa by the cosy wood-burning stove with the windows revealing lovely views out to sea. 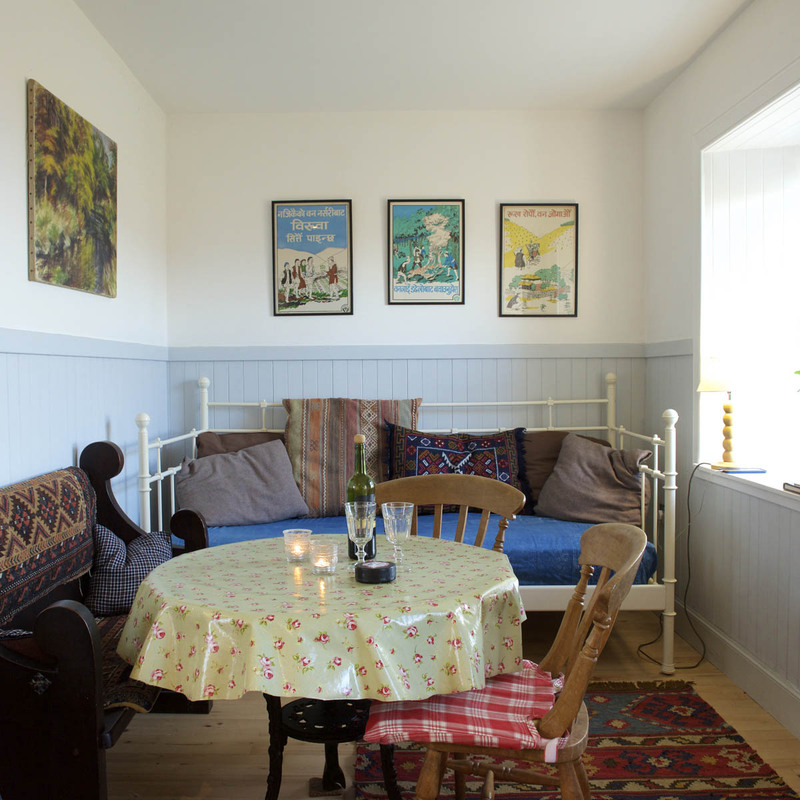 The ‘alcove’ adjacent to the living area has a daybed (sleeping +1) with views out to sea over the Coronation Meadow field. 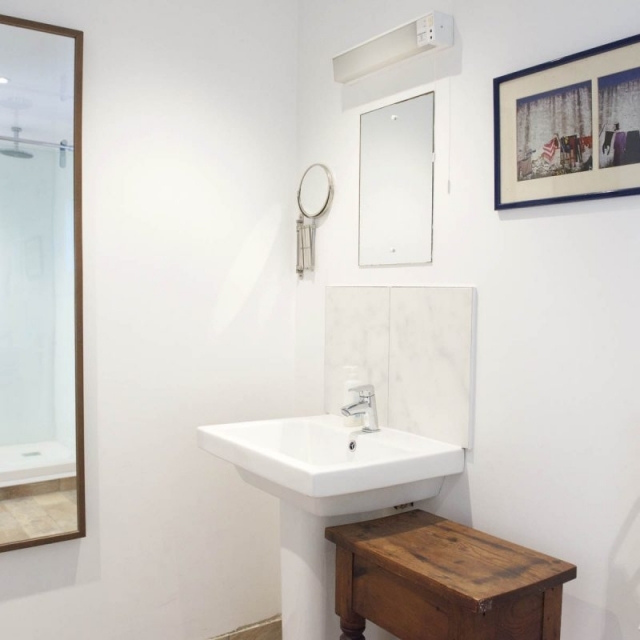 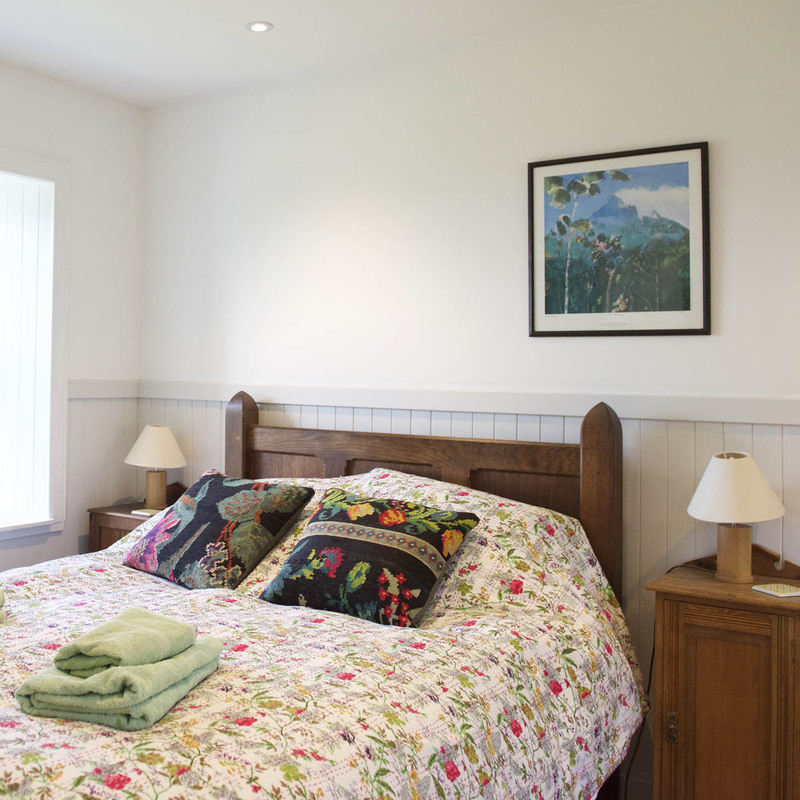 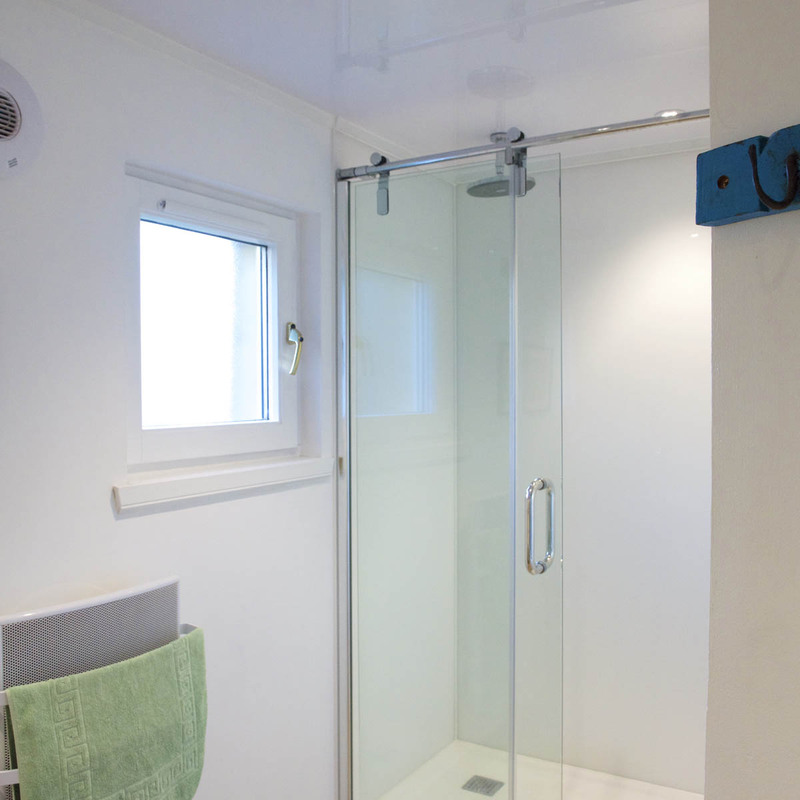 The main room leads to the bedroom with a kingsize bed and access through to the ceramic tiled and recently upgraded bathroom, which makes West Haunn more suited to single family occupancy). 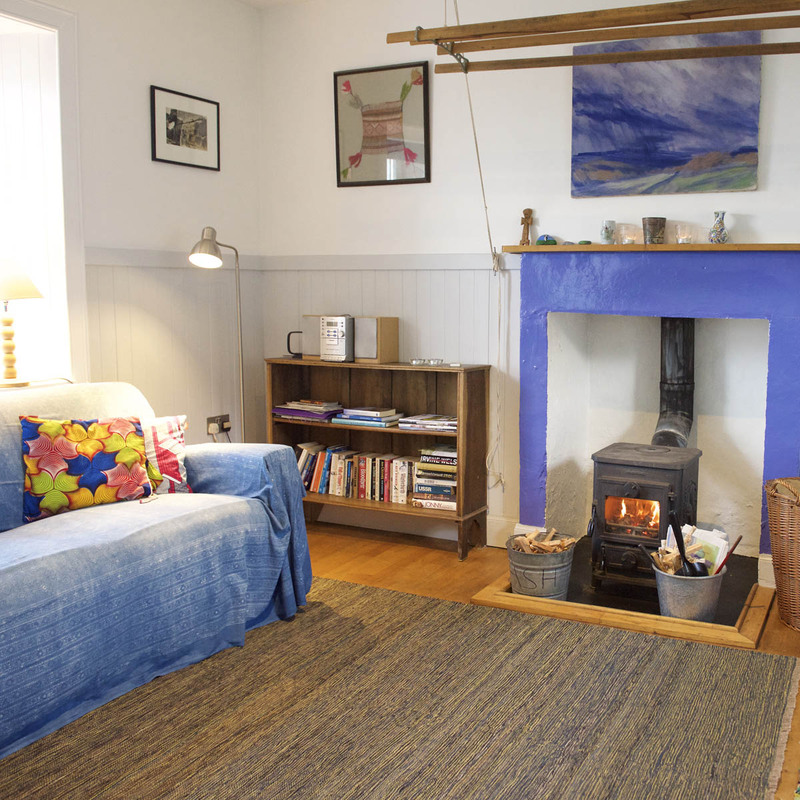 Both principal rooms have sea views and wooden flooring with rugs.